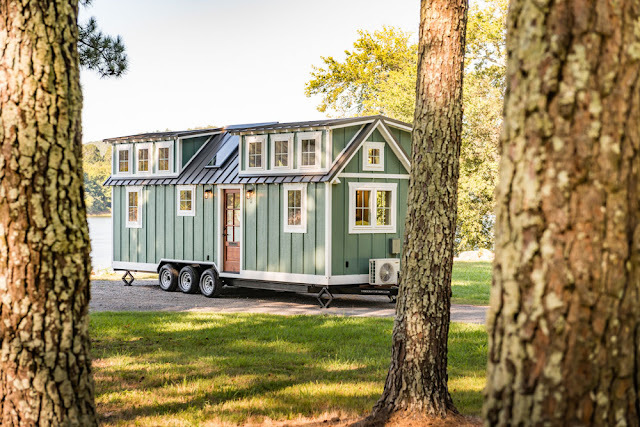 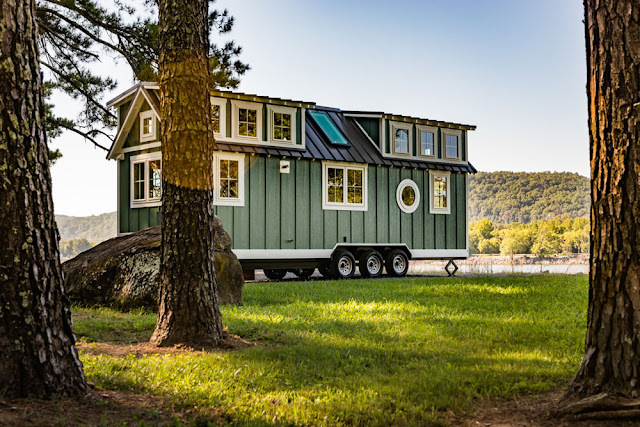 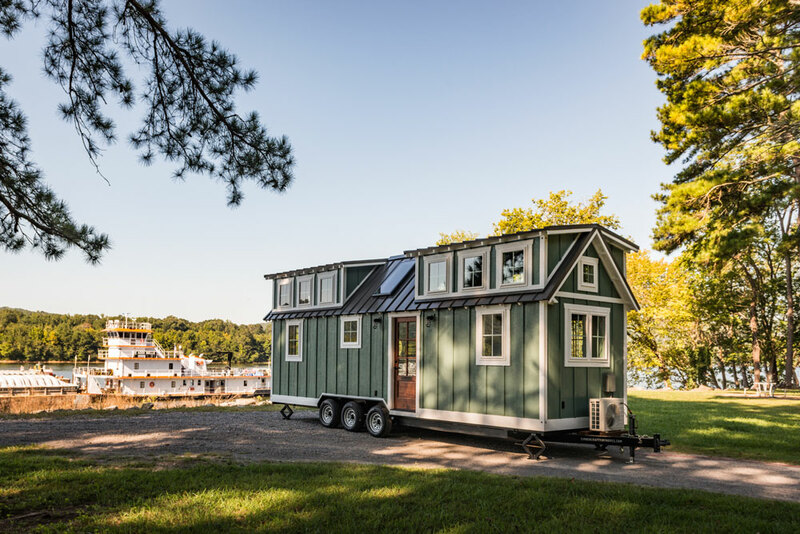 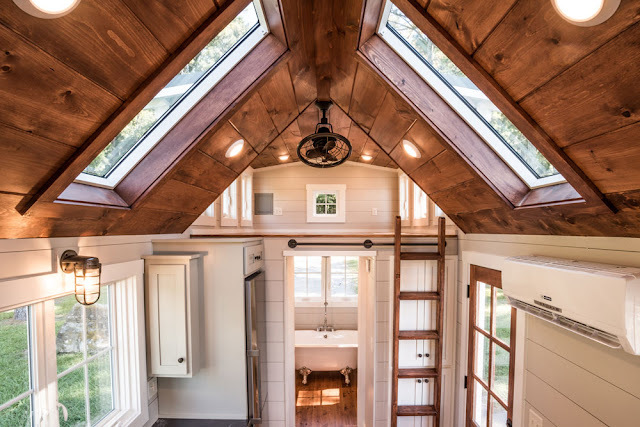 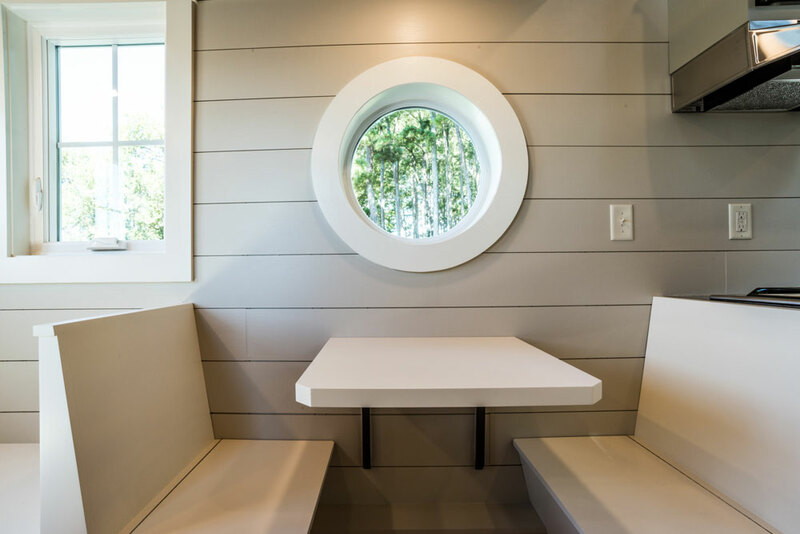 New, from Timbercraft Tiny Homes, is this custom tiny house on wheels named The Ridgewood! You can always count on Timbercraft to put together a beautiful and functional home, and this one is no different! 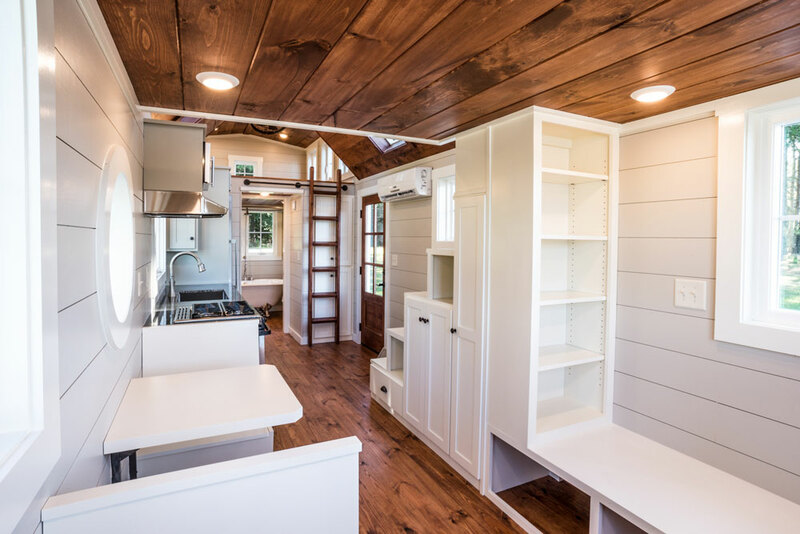 The Ridgewood features a bright modern/rustic interior with everything you need to live comfortably. 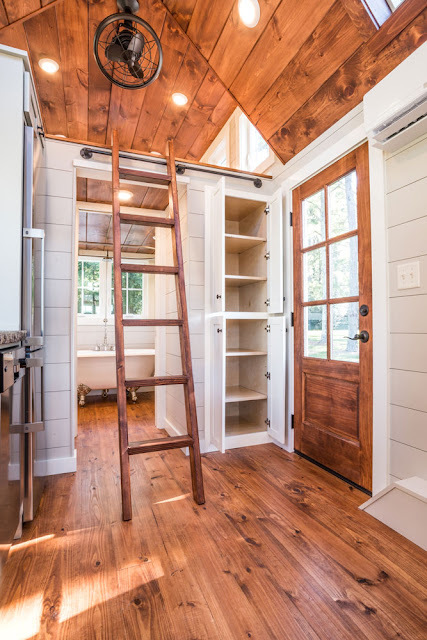 The home features two loft spaces- a master loft accessible by stairs, and a second smaller loft accessible by a ladder. 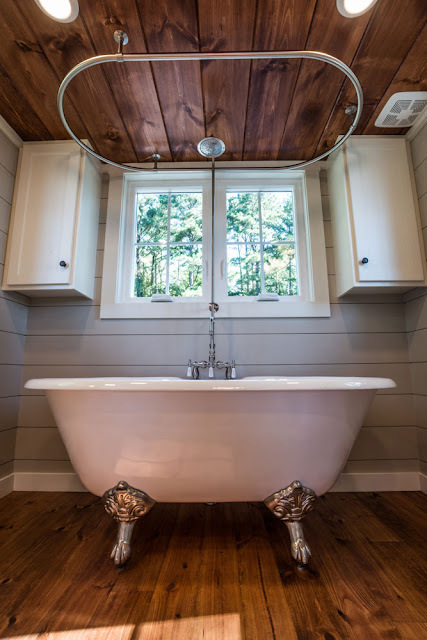 There's also a full kitchen, a dining space, living room area, and a full bathroom with a decadent claw-foot tub! 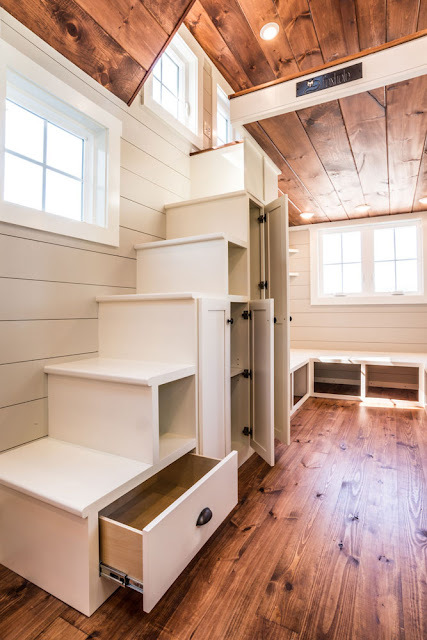 Timbercraft also incorporated plenty of storage throughout the home so there's no shortage of room to stash our things! 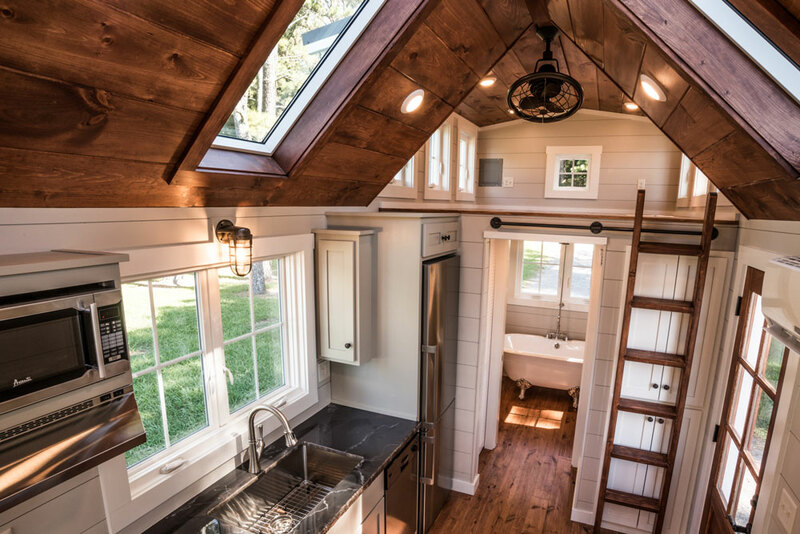 For more info and inquiries, contact Timbercraft Tiny Homes here!